Color Psychology refers to the fact that the various colors evoke different emotions or feelings. These colors are all around you and can affect you more than might be imagined. In terms of marketing, these colors can be used to direct the way a person feels about a product or company. You can find more information on that below. So now that you know what Color Psychology is, let’s take a look at what the various colors actually mean. 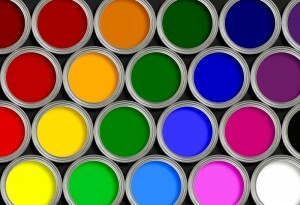 Below are some of the most common colors used in marketing, along with what they represent. How can I use Color Psychology? You may now be wondering what the real importance of knowing this information is. Well, you can take this information and apply it to all of your visual marketing. For example, if you wanted to warn someone of something you could use the color red. If you want them to feel happy about what you are saying, you could use yellow. If you wanted to market something for Valentines Day you could use red and pink. It goes much further than this basic use, however. You can actually use Color Psychology to influence what your customers are going to do, not just what they are going to feel. Think about those nifty little price tables. Let’s say that you have three different plan options. You’re going to highlight each of the columns with a different color. For this example, we are going to say that those three colors are red, yellow, and blue. You want to sway people into purchasing the middle option, since that tends to be an affordable option for your customers while still garnering you a reasonable profit. You would want to highlight that column with blue since it represents trust and security. Red could be assigned to the lowest priced and yellow to the highest priced. The majority of consumers will be swayed to purchase the option you wanted them to. If you are a company that likes to take their own images for use in their blogs, websites, and advertisements, you can apply Color Psychology to them as well. If a man or woman is the main focal point you can use the color of their clothing to make people look at them the way you want them to. You want them to be desirable? Use red. If you want them to appear innocent, you can use white. Purple could make them appear regal and sophisticated. Brown would make people see them as dependable and friendly. It isn’t just people that this applies to either. Using these colors in the background of an image can also evoke these emotions in consumers. Images without people in them which are comprised of one or two vivid colors will also evoke these emotions. Knowing how to effectively use Color Psychology in your visual marketing efforts can help you immensely in gaining an edge over the competition. By properly utilizing the correct colors, you can get people to feel the way you want them to feel and gently prompt them to take the action you most want them to. This is an invaluable tool that all company’s should take advantage of.